For far too long have we neglected this treasure. David Rattray knew this from the beginning. I never saw eye to eye with him, but we were never enemies. There is a number of guides shaping and building their own repertoires in his name, sliding forth on the coattails of his legacy, as far as I am concerned. I was never one to subscribe to the aberration “Why spoil a good story with the facts.” In fact, this makes my blood boil on the spot. Would I go out there and construct a tale that makes my clients stare at me like I am the Hound of the Baskervilles revisited….? Throw in any number of fun and glorious accidents and happenings to make the tourists pay that one more rand more….? No. I have listened to the CD’s, for sure. It’s fascinating stuff. I would not have bought it otherwise. I also believe that we, as battlefield guides, have a responsibility towards the memory of the men and women who fought these battles on this blood-soaked part of this country. That means that you respect the memory of these brave people, many of whom met their Maker while fighting an equally brave enemy, and you do not urinate on the legacy these people left behind, by telling unsuspecting visitors all kinds of little fibs to try and establish some kind of a reputation as a raconteur. Bull. No. You research the spellbinding tales, from Shaka to Dingane, from Piet Retief to Christiaan de Wet, from Henry Burmeister Pulleine to John North Crealock, from Charlie Pope to Edgar Anstey, from Mehlokazulu ‘The Eyes of Heaven” Kasihayo, to Sarah Rorke, that Afrikaner girl who married John, and left her countenance on museum walls and in history books, and you shout it from the heavens. You become the ambassador of our story, and you share it with the foreign audience that flocks to our part of Africa to hear it. You become a battlefield guide. Among the best in the world…. 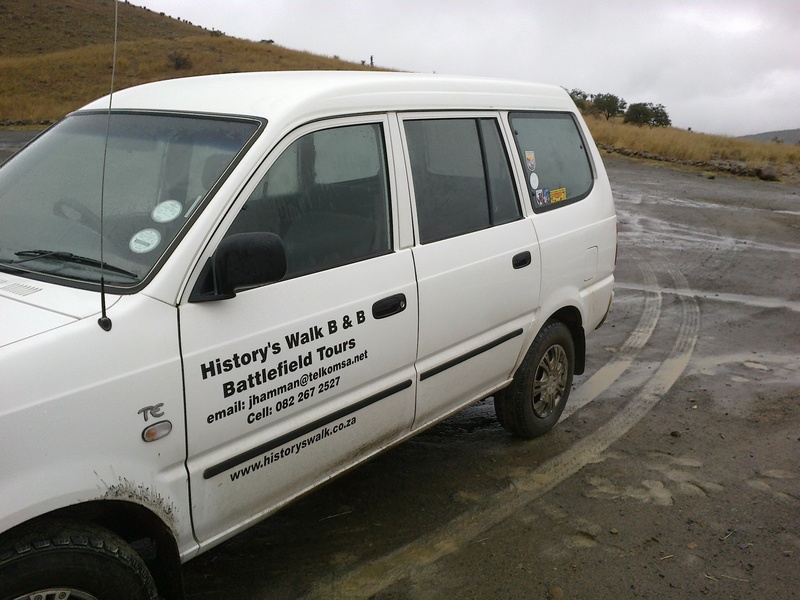 This entry was posted in Battlefield Tours, British Army, Tourism, Travel and tagged battlefield guide, Battlefield tour, History's Walk, Johann Hamman, KZN. Bookmark the permalink.